In 2009—which was a decade ago, FYI—Koenigsegg’s purchase of the beloved and mostly deceased Swedish automaker Saab was all but complete before it fell through at the last minute and Saab later went bankrupt. But now, 10 years later, Koenigsegg and zombie Saab are together once more, expanding a partnership to “develop a product for new and untapped segments” and talking about electrification. Will Saab never die? Will Saab never be allowed to die? It’s hard to say. Koenigsegg announced the partnership on Tuesday, adding to its involvement with the confusingly named Chinese company National Electric Vehicle Sweden, or NEVS, which plucked Saab from bankruptcy in 2012. 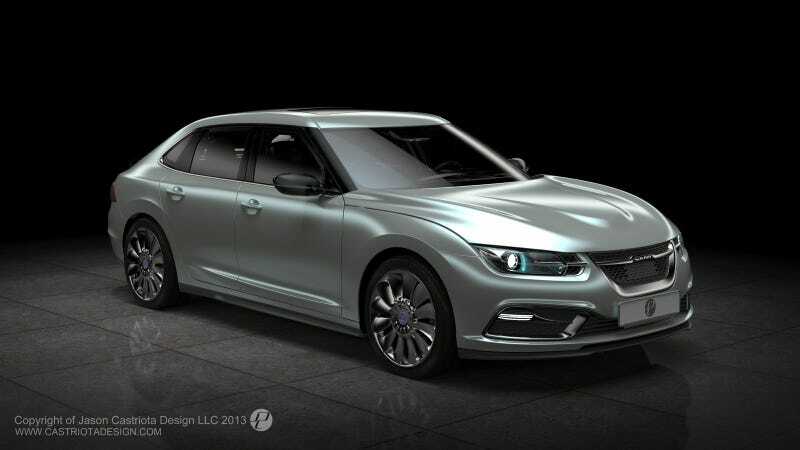 NEVS debuted an electric “NEVS 9-3” model based on the Saab 9-3 in 2017, having lost rights to the Saab name when, two years after it acquired Saab, it also had a bankruptcy scare. Anyway, Koenigsegg said it and NEVS will team up to develop “parallel vehicle models in slightly higher volumes” with emphasis on electrification—basically, sharing resources to make more cars that would either be hybrids, EVs or something else that falls under the vague banner of “electrification.” It also said the partnership would help “growth opportunities” in the hypercar segment, but didn’t say exactly how. Technically, your multi-million-dollar Koenigsegg supercar can’t exactly be a Saab, but maybe you can wish it into existence if you stretch your imagination and buy some badges off eBay. Koenigsegg’s announcement points out that it and NEVS have already been working together, but didn’t give much detail about it or what this expansion of the partnership will entail. It does, however, include an investment of about $170 million from NEVS at current exchange rates. That investment will get NEVS a 20-percent minority stake in Koenigsegg’s parent company, and more money will go into a joint venture between the two. Koenigsegg also said it’ll get to use NEVS production plants in the Swedish city of Trollhättan, and mentioned distribution channels in China thanks to NEVS’ new majority owner, Chinese company Evergrande, which went to zombie Saab after backing out of its investments into Faraday Future. It’s a weird deal. Sure, a further EV-technology partnership with a supercar maker probably isn’t the Great Saab Revival we’ve all been illogically praying for, because that never seems to happen. But it is an excuse to check in on Saab more frequently, which we’ve now done twice this month. And that, friends, is a welcome excuse.